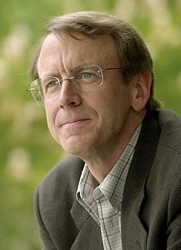 Legendary venture capitalist John Doerr of Kleiner Perkins has a theory about the Third Wave of computing: first came the PC, then the Internet, and now we are adding a third wave which is a combination of social, mobile, and commerce. It’s become the informal theme of TechCrunch Disrupt (buy tickets here). 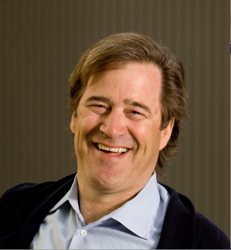 So who better to kick off Disrupt in San Francisco on September 27 than Doerr himself? At our first Disrupt cnference in New York last May, Doerr was interviewed by Charlie Rose. This time we are turning the tables and letting him do the interviewing. 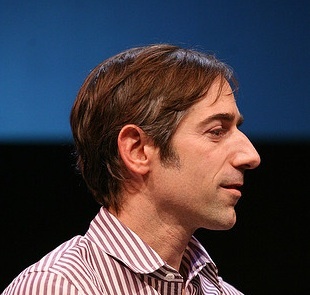 On the other side of the table will be Zynga CEO Mark Pincus and Bing Gordon, the founder of Electronic Arts and now the partner at Kleiner who sits on Zynga’s board. Zynga, of course, is the social gaming company behind hits such as FarmVille, FrontierVille, and Mafia Wars. It’s revenues are estimated to be anywhere from $500 million on up this year, going to $1 billion next year. Doerr has told us, “Zynga is the fastest growing business Kleiner Perkins has ever invested in.” Faster than Amazon, Google, AOL, Compaq, Netscape, or Electronic Arts. In a sense, Zynga is the new Electronic Arts, but Zynga doesn’t make video games. It makes social games. It studies what makes players addicted and what make them keep coming back. It tweaks its games, watches what happens, and then tweaks some more, until it finds the sweet spot that resonates with hundreds of millions of people. It builds Internet treasures that become better the more other people cherish them. How do you create Internet treasures today in this Third Wave? Doerr will try to tease this out from Pincus and Gordon. It will be a fascinating conversation to listen in on. Our goal with the Disrupt, in addition to launching two dozen companies at the StartuP Battlefield, is to create these interesting discussions, bringing the world’s best venture investors like Doerr or Sequoia Capital’s Michael Moritz, who is also a speaker, together with the entrepreneurs who are riding the Third Wave. We’ll be announcing more speakers and the full agenda later this week. But get your tickets now. We’ve extended the early bird ticket price until Monday since we are a little late in getting the agenda out.